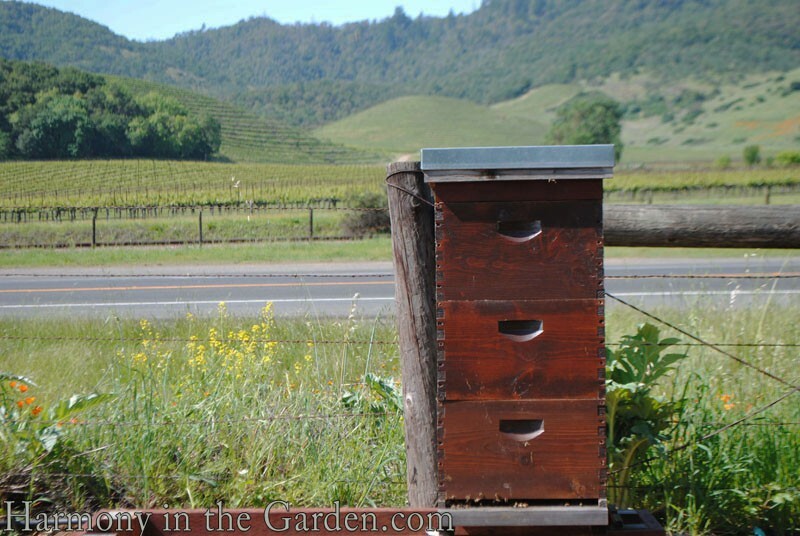 Rounding out my Napa weekend, the Tanners treated us to a morning of impromptu garden tours. 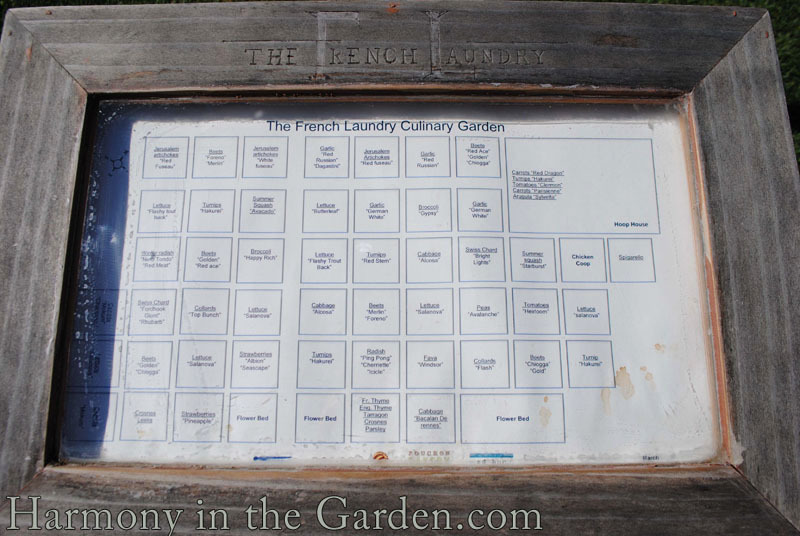 The first stop, a visit to the incredible culinary garden of the valley’s crown jewel – The French Laundry. 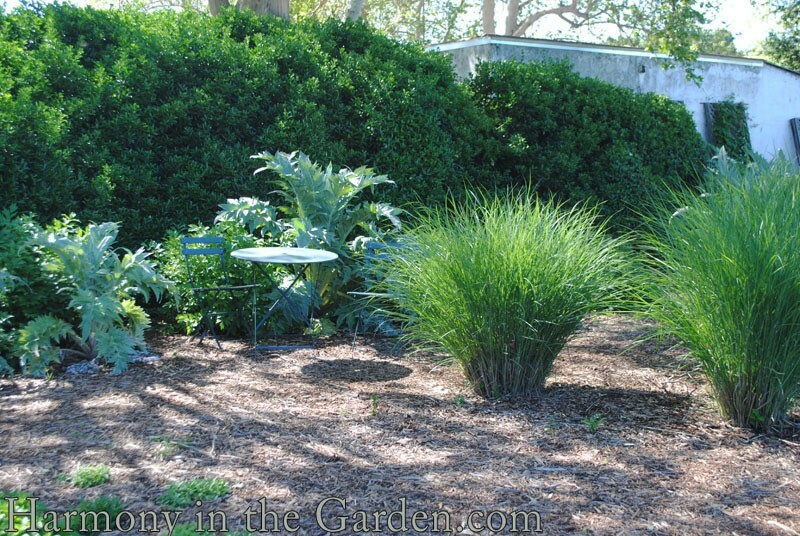 Located directly across the street from the deceptively demure looking restaurant is this impressive 3-acre garden. Open to the public, the garden not only supplies a large part of the restaurant’s produce, but also acts as the chef’s test site. 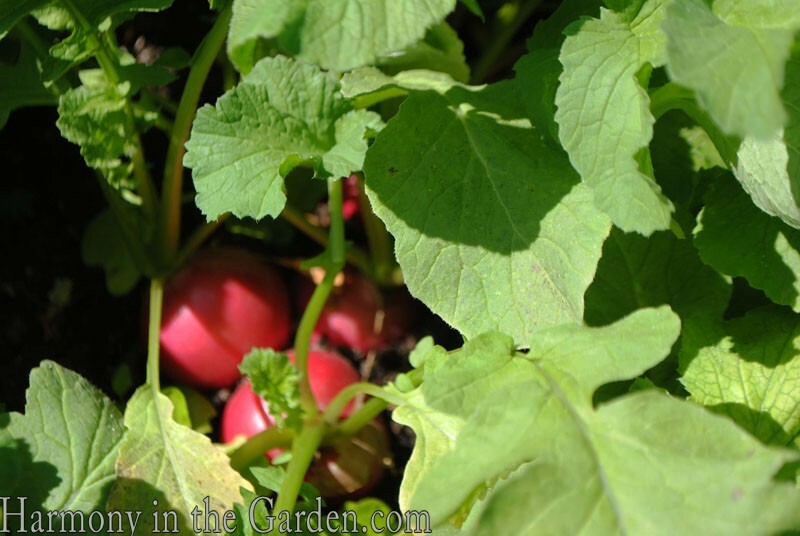 Even though spring had barely sprung, the neatly laid out blocks of earth were overflowing with colorful produce – heirloom radishes, kale, lettuces, leeks, potatoes and any other early blooming crop you could imagine. 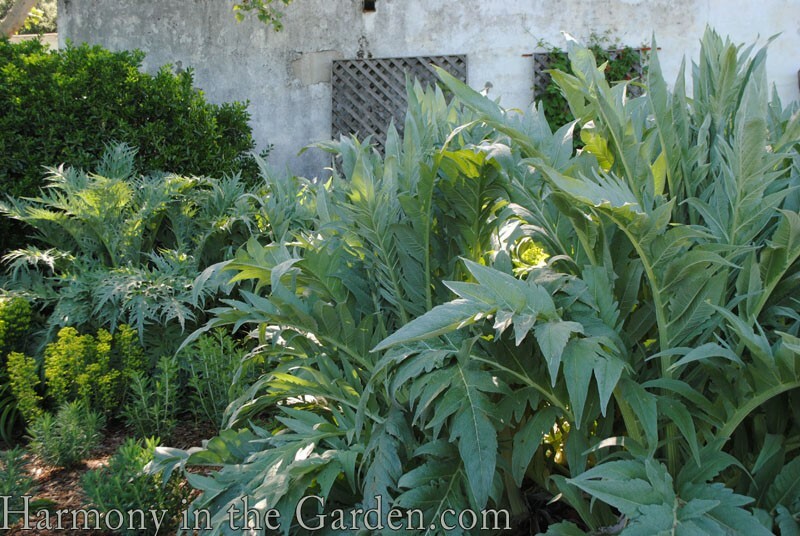 I love the little seating area off to the side of the garden, with the artichokes that have generously re-seeded themselves among the chairs. And next to the seating area is a series of simple screens to hide a fantastic ‘rinsing off’ station, where freshly picked produce gets a quick shower before being brought into the restaurant. 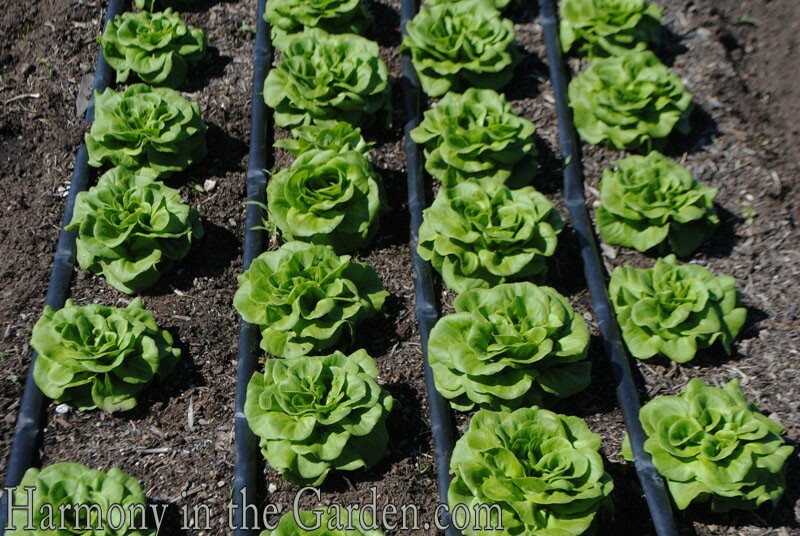 Wouldn’t you love to have something like this at the back of your vegetable garden? Early morning visits definitely has its advantages as we unexpectedly bumped into Aaron Keefer, who manages the garden, making his daily rounds. Aaron is a delightful man who is clearly proud of the garden and its importance to the restaurant. Any awkward feelings I might’ve had at being caught wandering through his ‘personal kitchen’ quickly vanished as he welcomed us (and anyone else who’d like to visit) with open arms, excitedly showing us what’s currently growing and what’ll be planted next. And why wouldn’t he? 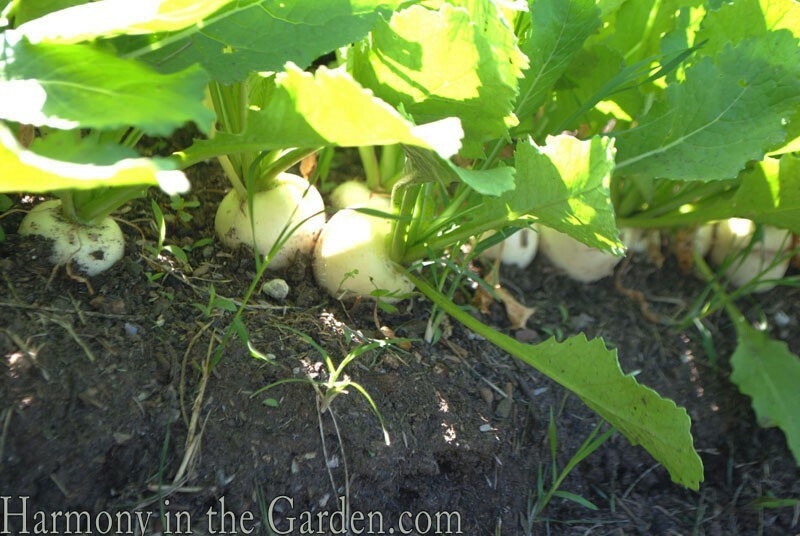 After all, don’t all gardeners love to share their gardens with others? 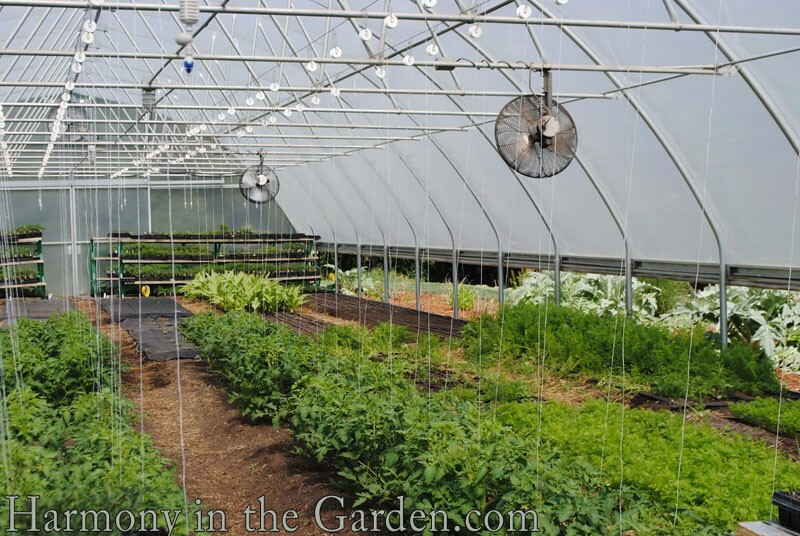 One of the things that lit up Aaron’s eyes was the new irrigation system in the giant hoop house. Growing vertically up the strings are young heirloom tomatoes which, when carefully pinched to create a strong main stem, will yield larger, tastier fruit. Reason alone to come back and visit the restaurant in the summer. Click here if you’d like to read a charming interview with Aaron. 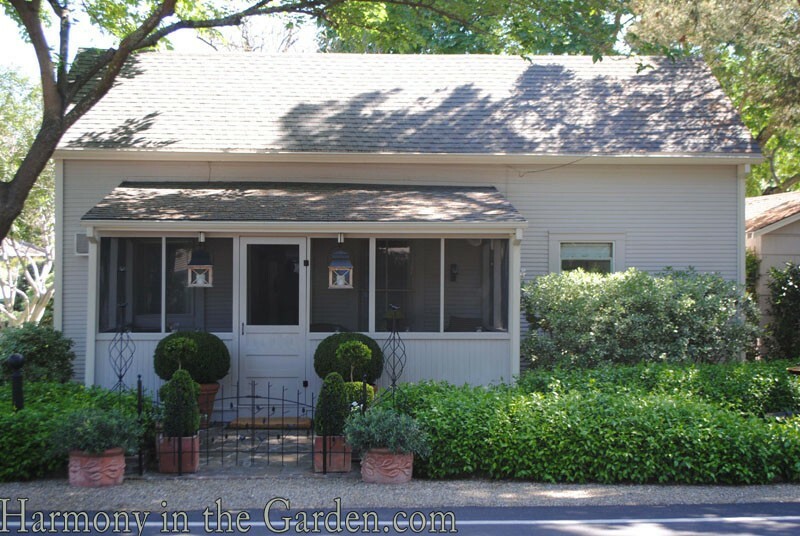 Just down the street from The French Laundry lives the Tanner’s good friend, John Ritter. 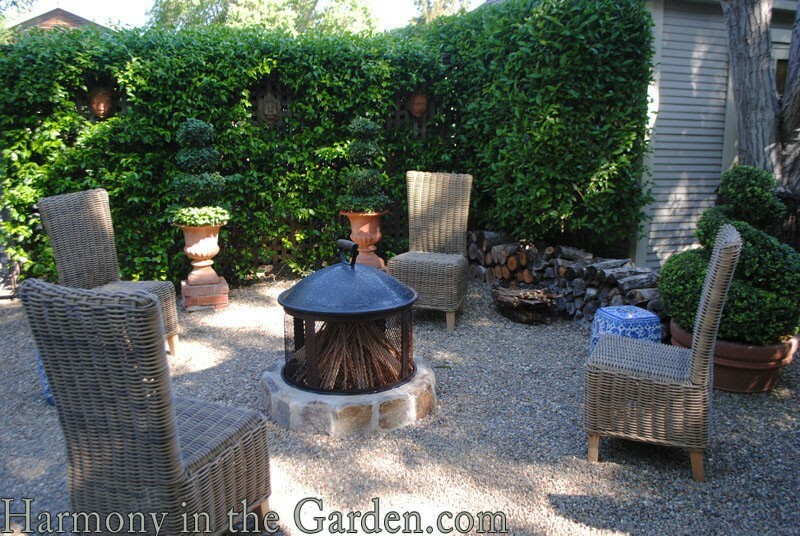 Even though it was a quiet, and early, Sunday morning, John (a talented designer) welcomed us into his garden. Again, any awkward feelings I might’ve had at interrupting this man’s peaceful Sunday morning for an impromptu garden tour quickly dissipated as he cheerfully showed us around. Such a quaint little home with a teeny, tiny garden – yet so open and spacious at the same time. That’s the magic of carefully placed seating combined with a limited color palette, clever screening options and just the right amount of personal touches sprinkled throughout. I really liked the mix of materials in his garden, from the crunchy gravel under foot to the sleek and shiny galvanized steel and the warm teak combined with the textural woven rattan chairs. 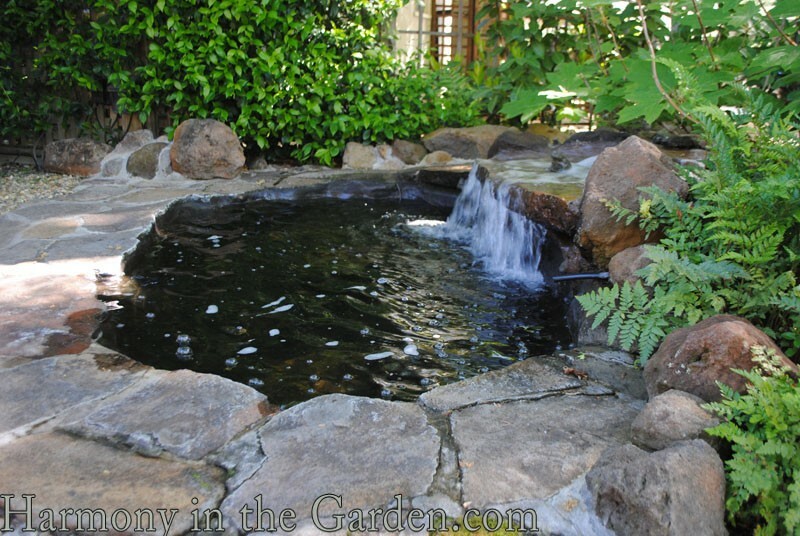 If I were to guess, I’d say the garden was maybe 30′ x 40′, but despite the small size this garden contains three seating areas, a pond and meandering pathways. 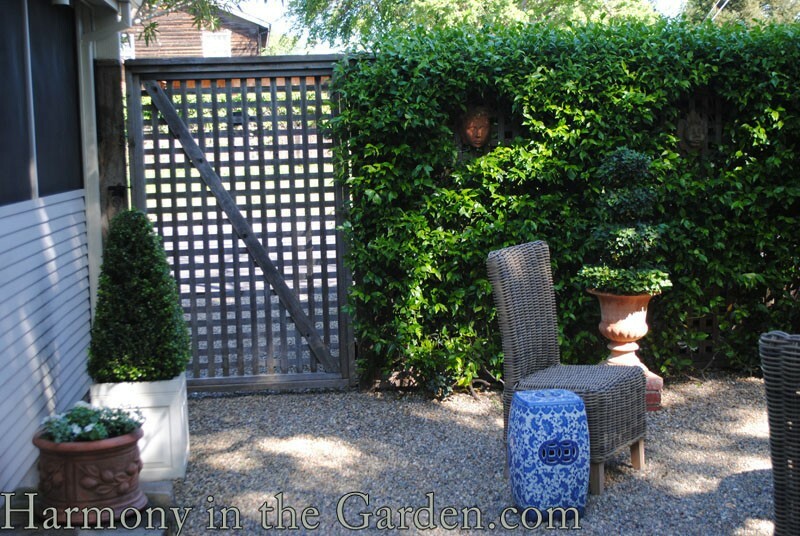 Such a clever way to use a simple screen and a grouping of containers to partition off this small garden’s separate areas. The open lattice work of the screen (above) and this gate that leads to the street keeps the small area from feeling too enclosed and claustrophobic. And yes, there’s even a pond! 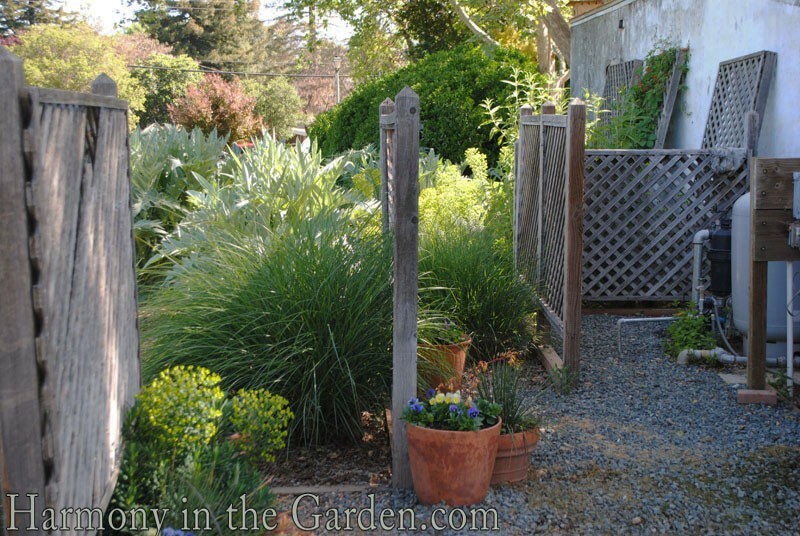 John’s restrained use of color (primarily green, silver and white) helps to create a calm sense of order within this small garden. 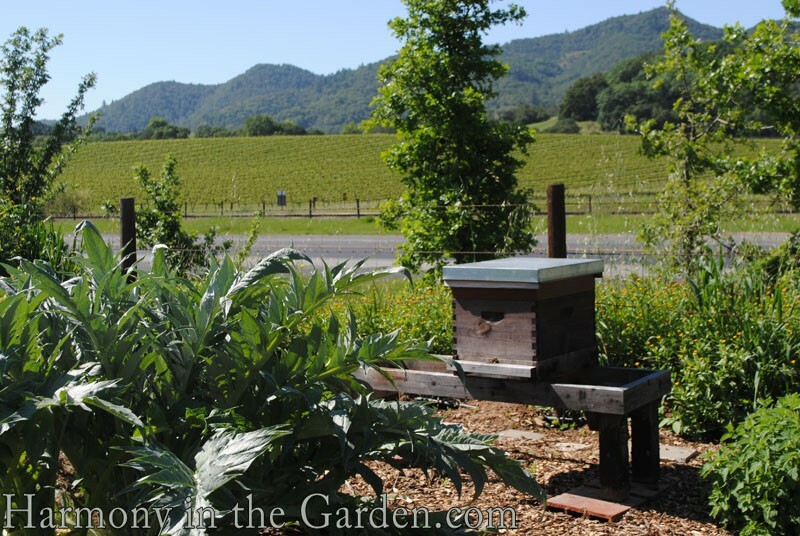 I hope you’ve enjoyed this impromptu tour of two completely different, yet equally charming, Yountville gardens! All material © 2010-2014 by Rebecca Sweet for Harmony in the Garden. Unauthorized reproduction prohibited. 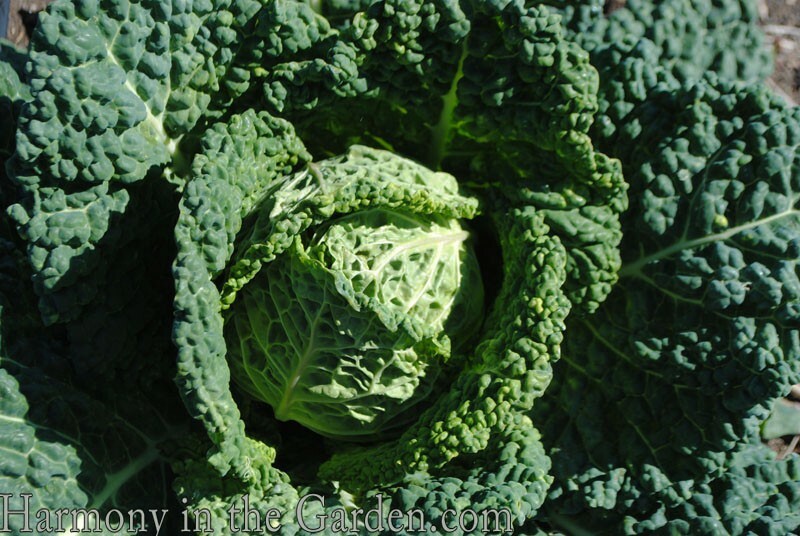 What great garden treats for you. 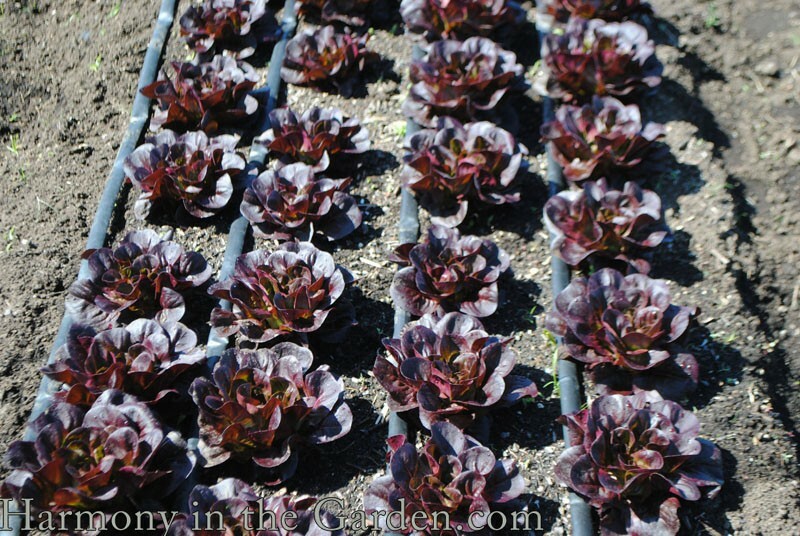 The French Laundry garden looks amazing – I would love to have a meal there. And the Ritter garden is just charming. 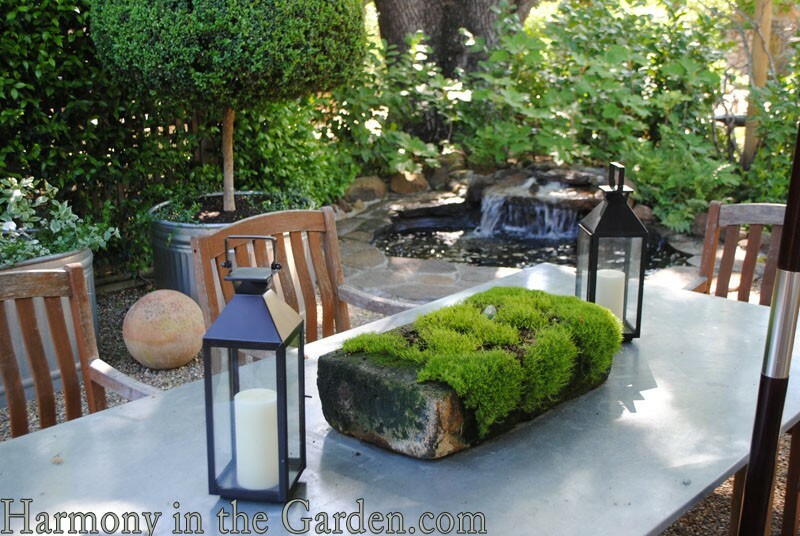 Such simple elements create amazing depth in that small garden. 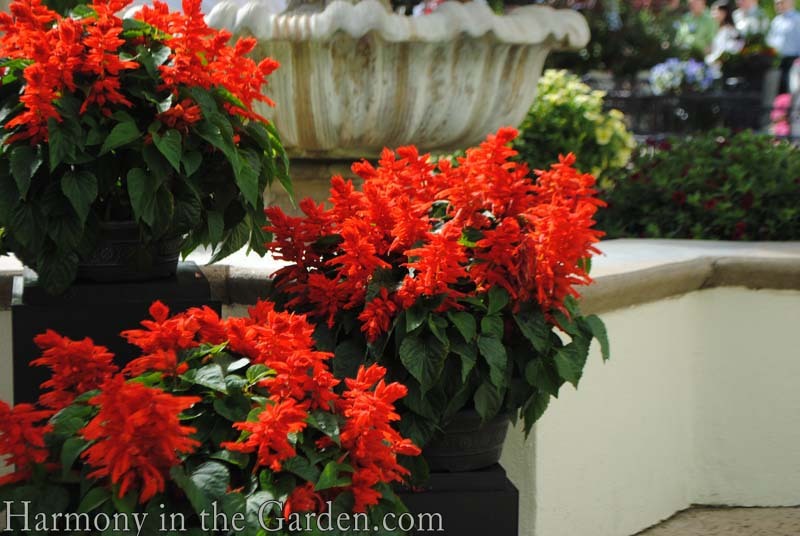 Isn’t it amazing how universally gardeners welcome each other into their piece of paradise with open arms. What a wonderful day! What a fun post, Rebecca! 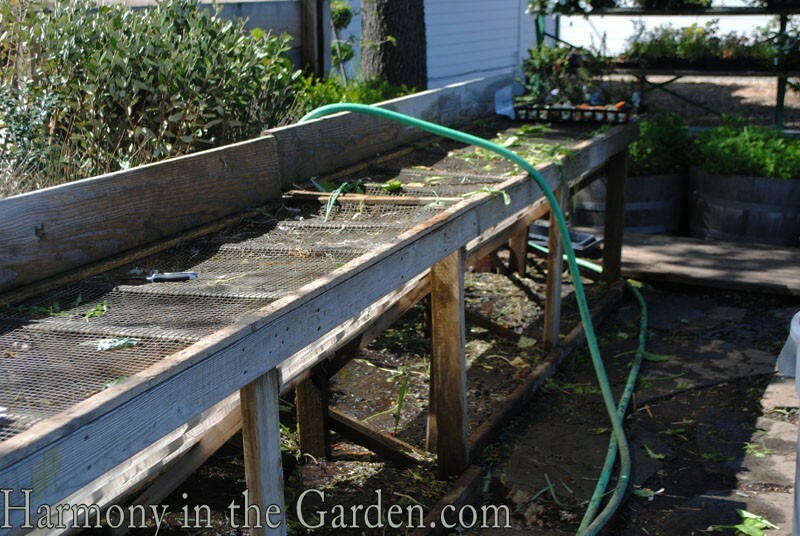 The rows of lettuce in the culinary garden looked pretend they were so picture perfect… and the rinsing station was a gardener’s dream. 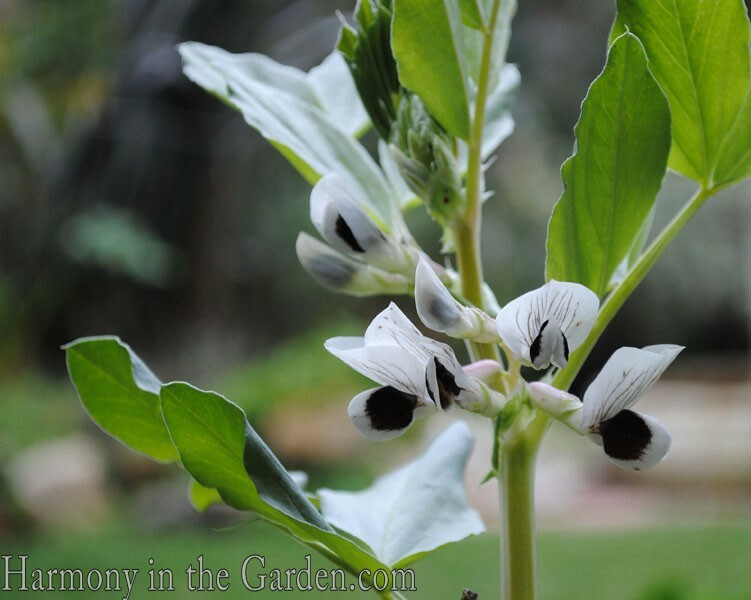 John’s garden is a testament to the fact that beauty can come in a small package. 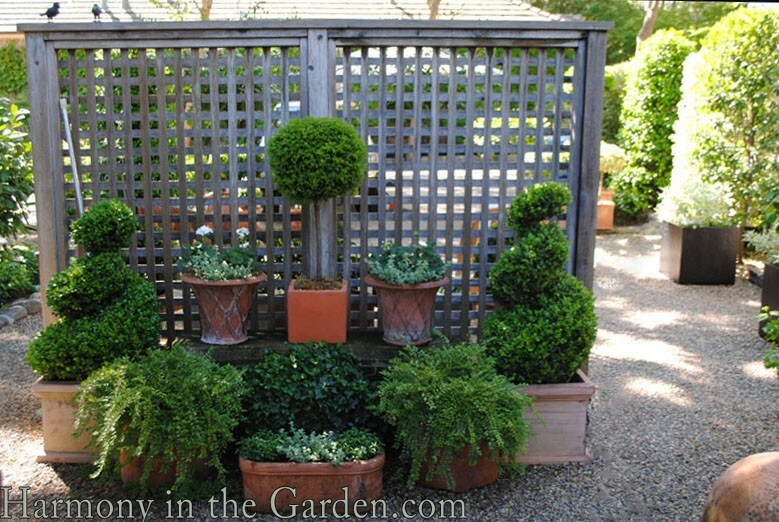 The photo that stood out for me, though, was the lattice screen fronted by the grouping of containers. Simply brilliant. I agree, Sheila – the lattice screen is such a simple idea yet so effective at creating a barrier and a beautiful focal point at the same time. Glad you enjoyed it! I loved the idea presented with the screen. Yesterday I bought a Euphorbia Hybrid Ascot Rainbow and I think this could be a great idea to have it grow on, don’t you? 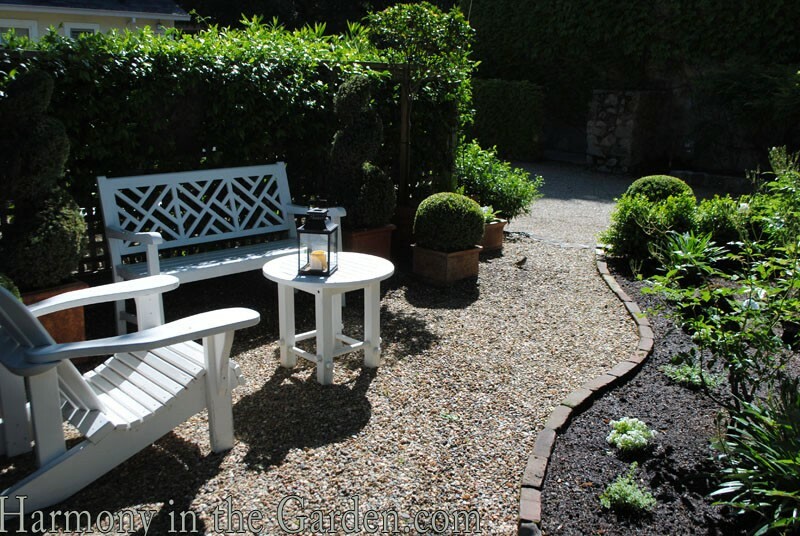 And I am always delighted with multiple seating areas to enjoy the beauty. Thank-you for sharing, ideas abound from this delightful article. Hi Susan, euphorbia ‘Ascot Rainbow’is a staple in my designs – low water, deer resistant, looks good here 24/7 and would look fantastic against a beautiful screen like John’s. You’ve got great taste! 😉 Glad you enjoyed the tour! Hi Rebecca… Thank you for the very kind article on your blog. The pictures were great and I was pleased at how good you made me look. 🙂 Also, thanks for photo shopping my address out of the pictures. Please feel free to stop by any time, maybe next time for a glass of wine as well. Just beautiful, all of it. And inspiring. Thank you, Lisa. I’m glad you stopped by!